Tell him he has the choice of what to wear. "Use a latex condom consistently and correctly for protection against HIV." 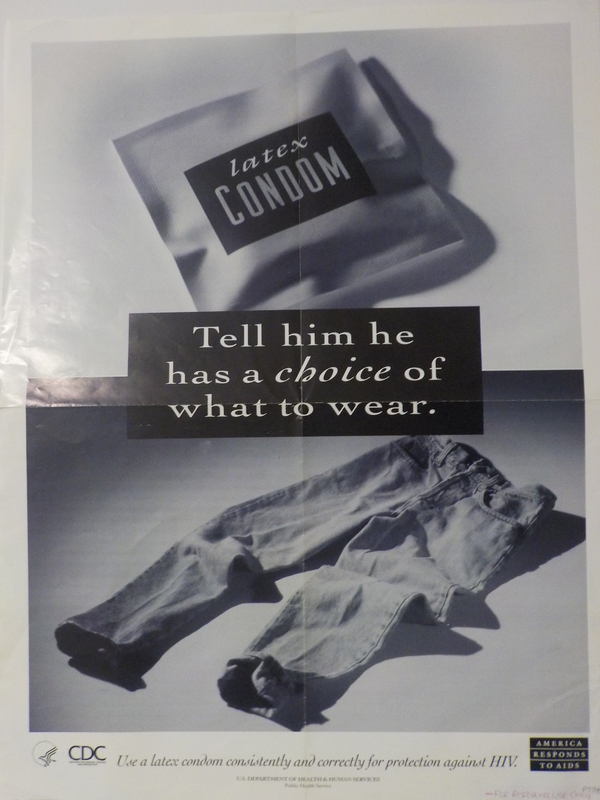 Photograph of a condom package and a pair of jeans.